Great news. Apple has released an update to OS X called OS X Mavericks. This includes a version of iBooks which enables you to read my ebooks on your Mac. Both EPUB and multi-touch books look great. Videos and multi-touch features are fully supported. Mavericks is a free update so there is every reason to go get it. The difference between EPUB and multi-touch books is the format of the book. EPUB books are free flowing. This means that the book adjusts to the screen size of the device being used and font size chosen by the person reading the book. So if you increase the font size, the text flows onto the next page. As an author I have less control over the layout of the book when published as an EPUB. I generally also reduce the image and video resolution in this format since the EPUB is normally viewed on the smaller screens of the iPhone or iPod touch. For devices such as iPads and Macs, the best format to use is the so called multi-touch books. These are fixed layout books. As an author I can control what is shown on a given page and this doesn’t change from device to device. I use the Apple software “iBooks Author” to prepare these types of book. 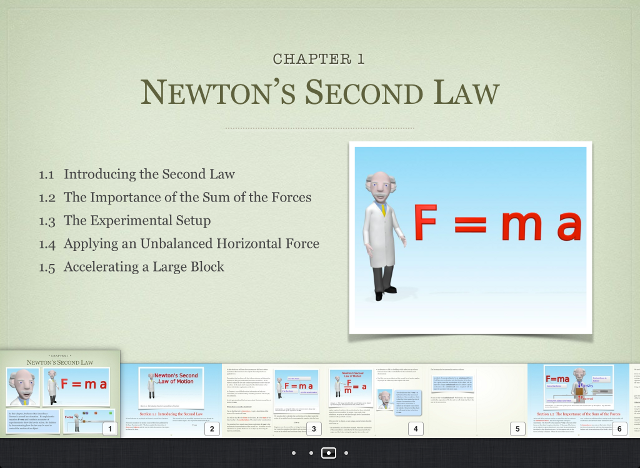 I generally include higher resolution images in my multi-touch books compared to my EPUB books. All my ebooks may be read on your Mac or iPad, whether they are in EPUB or multi-touch format. For your iPhone or iPod touch you will only be able to view the EPUB versions. I hope you enjoy reading my books on all your Apple devices.